As many as a third of autism cases could be explained by a scarcity of a single protein in the brain, Toronto scientists have revealed. The findings provide a rare opportunity to develop treatments for a disorder that is rooted in a motley crew of genetic faults. “We previously reported an association between nSR100 protein levels and autism. But this time we show that reduced levels of this protein could really be causative—that’s a big deal. Just by reducing the nSR100 levels by 50 per cent, we observe hallmarks of autistic behaviour,” said Cordes. Read more about this work in The Globe and Mail, The Independent and The Huffington Post. The U of T study provides evidence for the sweeping influence that nSR100 protein has on social behaviour and other features of autism. In the brain, nSR100 acts as a key regulator of alternative splicing—a process that generates a remarkable diversity of proteins, the building blocks of cells. “A major value of the nSR100 deficient mouse is that it can explain other causes of autism and how they impact neurobiology by converging on the nSR100 protein”, said Blencowe, who is also a professor in U of T's Department of Molecular Genetics. 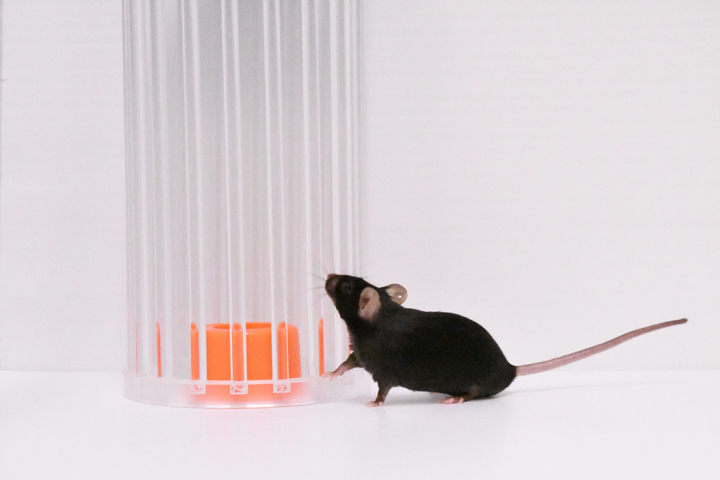 “Our mouse model will also serve as a useful testing ground for small molecules that have potential to reverse nSR100 deficiency in autism,” he added. “Instead of focusing on individual mutations linked to autism, it’s much more powerful to identify regulatory hubs like nSR100. In the future, if you turned this protein up a little bit in autistic patients, you might be able to improve some of the behavioural deficits” said Cordes.